California-based Discovery Land Co., one of the developers of the Summit Club, and the Wolff Co., an Arizona-based real estate private equity firm are set to be the new owners of the historic club in early 2017, according to letters sent to the Las Vegas Country Club membership. The co-developer of an ultra-luxury, 555-acre country club community in Summerlin is closing in on acquiring the Las Vegas Country Club. California-based Discovery Land Co., one of the developers of the Summit Club, and the Wolff Co., an Arizona-based real estate private equity firm, are set to be the new owners of the historic club in early 2017, according to letters sent to the Las Vegas Country Club membership. Officials from the Wolff Co. did not return calls for comment. Discovery Land officials said they could not comment at this time given a non-disclosure period in place. Earlier this year, club members voted 383 to 69 to sell the club. Discovery and Wolff ultimately were chosen over an offer from Tim McGarry and Mike Muskin. The vote was 168 to 141. Two other semifinalists were Rainbow Bridge Management and Haas and Haynie, according to club correspondence. In its most recent letter to club members, Digby said that after the vote was concluded Sept. 29, the board and club’s counsel immediately started working on a purchase and sales agreement with the companies. 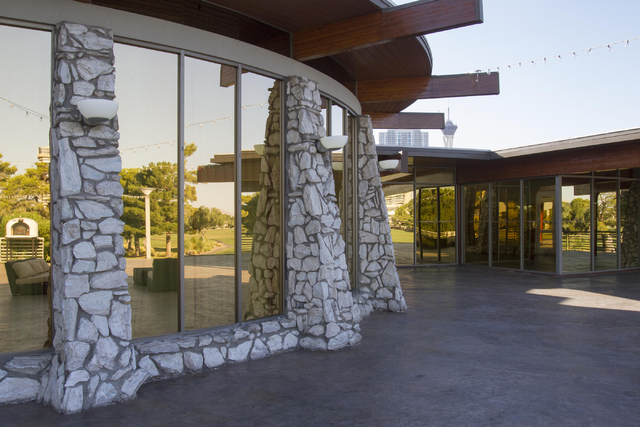 The winning proposal listed the “aggregate consideration” at $22.5 million and net payment per member at $29,347 for the member-owned club that opened in 1967. “This was a complex undertaking that took several weeks to complete,” Digby said in the letter sent to members obtained by the Las Vegas Business Press. “With 460 owners, six different parcels of land and eight buildings, this was significantly more difficult than doing a PSA (purchase and sales agreement) for a home sale. And the club had to write the PSA in such a way that it protected the membership and the tax liability advantages that were part of the deal as proposed by Wolff/Discovery. About three weeks ago, the PSA was sent to Wolff/Discovery Land for review. After their review, there has been some give and take (which is normal) on the final PSA document, but we expect it to be finalized in the coming days. Digby confirmed what was in his letter — the deal should get done in early 2017. In a joint venture with The Howard Hughes Corp., Discovery Land is developing The Summit Club, which is selling multimillion dollar lots. They are building a golf course designed by Tom Fazio, who also designed Shadow Creek and Wynn Golf Club. This sale of the Las Vegas Country Club dates to May 2015 when more than 70 percent of members decided they wanted to explore a transaction that was handled by commercial brokerage CB Richard Ellis. Michael Parks, a first vice president with CBRE, said the groups are going to maintain Las Vegas Country Club as a private club and invest money to upgrade the facilities. Wolff is a multifamily developer that builds many apartments, especially on the West Coast, Parks said. He said he does not know the company’s plans for the site. In other golf news, Bill Walters’ Royal Links Golf Club recently was sold for $10.4 million to a group known as SGGOAKS Royal Link. The Review-Journal listed the buyers as the Scottsdale Golf Group.